Tuffy says: Azuls A Hancock is SOLD. 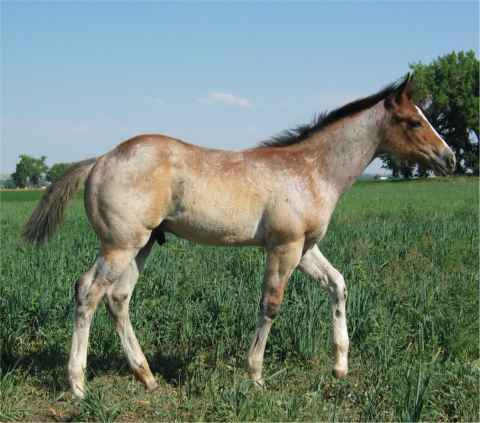 This is going to be a nice big colt. He is going to look just like his mama! 9 crosses to JOE HANCOCK, 3 to BLUE VALENTINE! This horse is going to be a TOP notch rope prospect without a doubt! He is already an agile dude that can put on the skids! Flashy colt with a great personality! He has a ton of bone and is going to mature into a solid, good sized horse.THANK YOU TO AZULS NEW OWNER! GOOD LUCK WITH YOUR NEW COLT!